Dramatic cliffs at the Ritz Carlton Half Moon Bay. All photos by Kate Bitner. 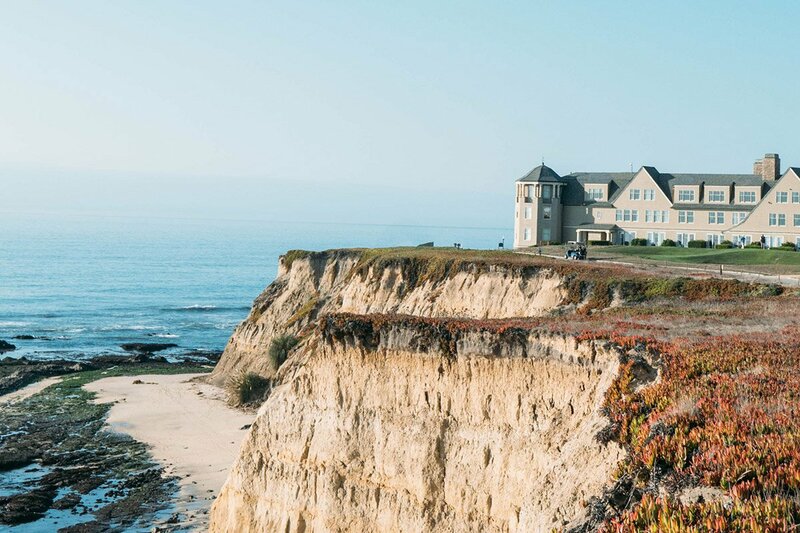 Just an hour south of San Francisco, Half Moon Bay is an easy weekend escape with vineyards, gourmet food, and dramatic cliffs reminiscent of Scotland's fabled bluffs. HALF MOON BAY, California – San Francisco residents are a spoiled bunch. When the weekend rolls around they depart their pastel-hued Victorian homes and scenic hilltop vistas for day trips and weekend getaways ranging from the picturesque (Lake Tahoe's pristine waters, Big Sur's rugged coastline) to the delicious (Napa and Sonoma's world-renowned wineries, Tomales Bay's oyster farms). When they want the best of both — postcard panoramas and epic eats with minimal driving time — they head to . 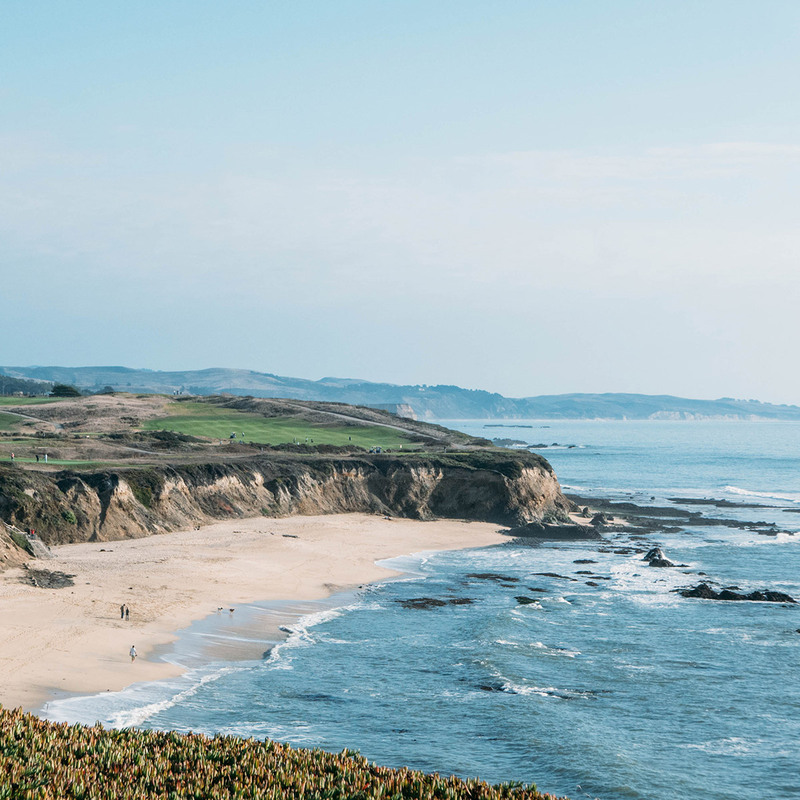 Just an hour's drive south of the city (or 45 minutes from the airport), Half Moon Bay is an easy weekend escape with a most desirable journey. Relaxation sets in the moment your commute begins down Highway 1, as you snake along the water's edge and take in sweeping views of the dazzling Pacific. I'm usually staring at my phone anytime I end up in the passenger seat of a car, but on this particular trip, my electronics went untouched in favor of Mother Nature's splendid show. The best place to hang your hat in Half Moon Bay. Standing sentry on a dramatic cliff reminiscent of Scotland's fabled bluffs, the makes for a memorable overnight visit to the area. In addition to being the Bay Area's only oceanfront resort, the timeless property has a luxurious spa, two stunning golf courses, and many delectable dining options. When making your reservation, go for a room with access, which gets you into the resort's Club Lounge for complimentary food and beverages throughout the day, like homemade pastries and made-to-order omelets to start your morning, hors d'oeuvres and champagne toasts at sunset, and chocolates paired with cordials to end your night. Sunset s'mores by the seaside. Making new friends at Harley Farms. 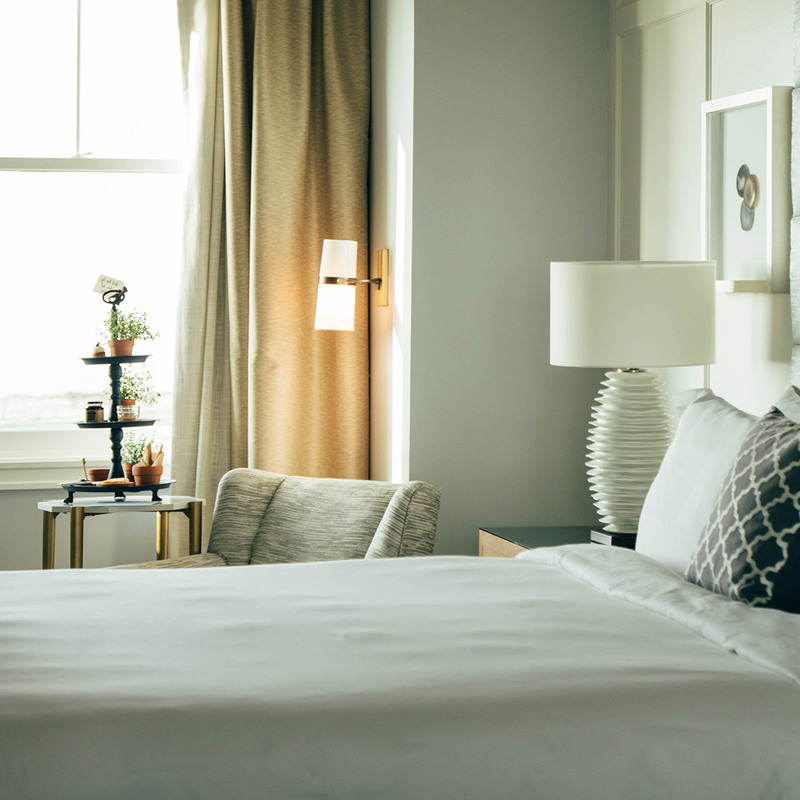 Schedule your arrival in Half Moon Bay for late afternoon, giving yourself ample time to settle into your room before heading outside to the Ritz Carlton's . Here, you can relax fireside with a glass of wine in hand as the sun begins its nightly act. Guests staying over the weekend are treated to a special soundtrack for the event courtesy of the hotel's bagpiper, who sets the mood with traditional piping music that echoes along the craggy coast. When hunger strikes, check out sea-to-table restauarant . I knew I was in for a treat here as soon as the breadbasket arrived with fresh-from-the-oven cornbread with a subtle briny flavor. Every course was artfully presented, from the appetizer (ahi tuna ribbons with mustard fruit, black sesame and basil) to the dessert (pumpkin moon tart with ginger cake, crème Catalan and pear sorbet). Be sure to tap the sommelier for unexpected seafood wine pairings — think pinot noir with black bass — that draw out a delicious earthiness in the dishes. 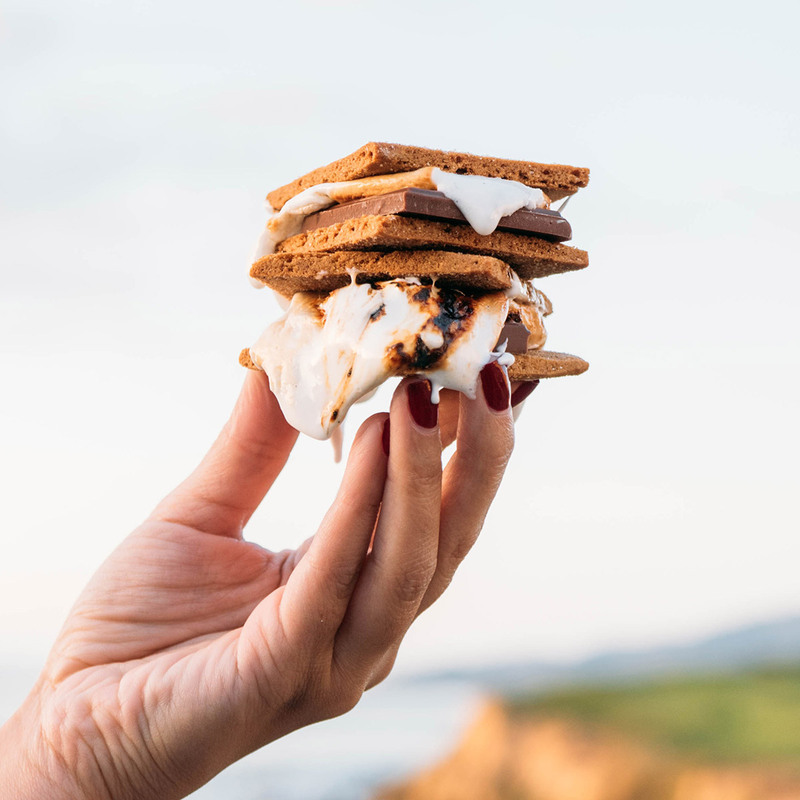 If your waistband will allow it, make your way back to the hotel's ocean lawn after dinner to partake in the s'mores experience featuring pumpkin graham crackers, fruit-flavored marshmallows, and every shade of chocolate. Come with the understanding that you'll be forever ruined for plain old s'mores. Vineyard views at 2,000 feet. Treats to accompany a tasting at Thomas Fogarty. 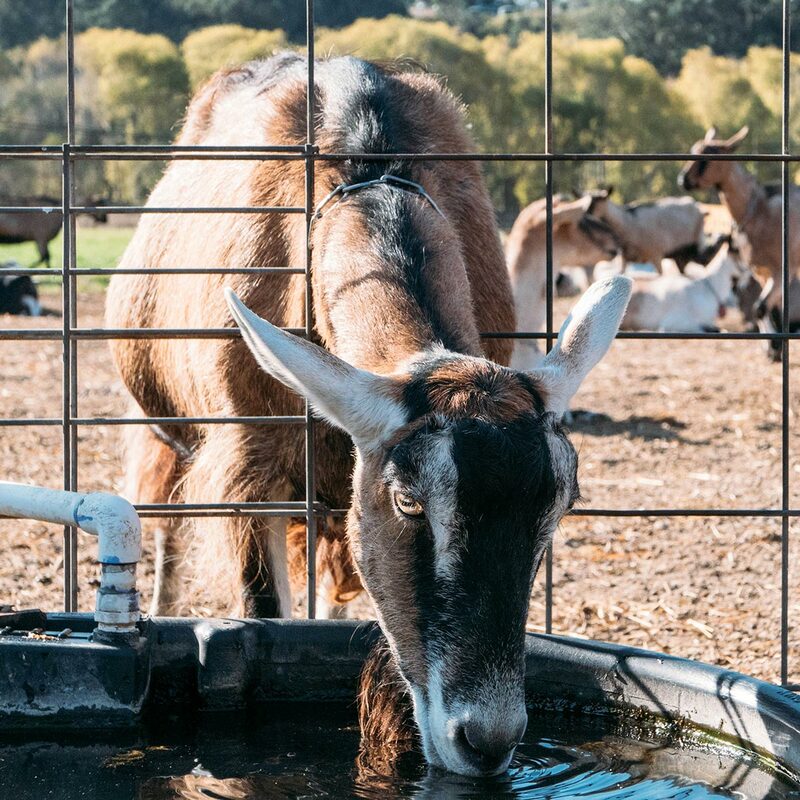 Hit the road for nearby Pescadero, a charming two-block town of working farms where you'll find the goat cheese wonderland that is . Helmed by U.K. native Dee Harley, the restored 1910 dairy farm is home to 200 alpine goats ( a few dogs and llamas) that you can mingle with as part of the farm's two-hour-long weekend tours. The farm's close proximity to the ocean — and the salty morning fog that rolls off it — influences the goat's feeding pasture and therein the cheese, instilling it with a distinct tang that Dee likens to a wine's terroir. She mixes her four varieties of award-winning goat cheese — chèvre, fromage blanc, ricotta, and feta — with farm-grown produce like herbs, berries and edible flowers. All are available for purchase in the dairy's small cheese shop, alongside jellies, honey, and a range of luxurious goat-milk lotions and soaps. This is a great place to put together a picnic lunch, which you can enjoy on Dee's bucolic property. If you prefer to skip the tour and just pop into the farm, don't miss seeing the gorgeous Victorian hayloft where Dee's team hosts seasonal farm dinners and private events. I'm eager to return here for a dinner in the spring when kidding season in underway. From the farm, continue the journey inland to America's premier mountain appellation, the Santa Cruz Mountains. After 45 minutes of winding ascension through coastal redwood forest you'll arrive at , the region's pioneer winemaker. Sitting 2,000 feet above sea level, the winery is home to eight unique vineyards and a tasting room with sweeping views of the San Francisco Bay Area. 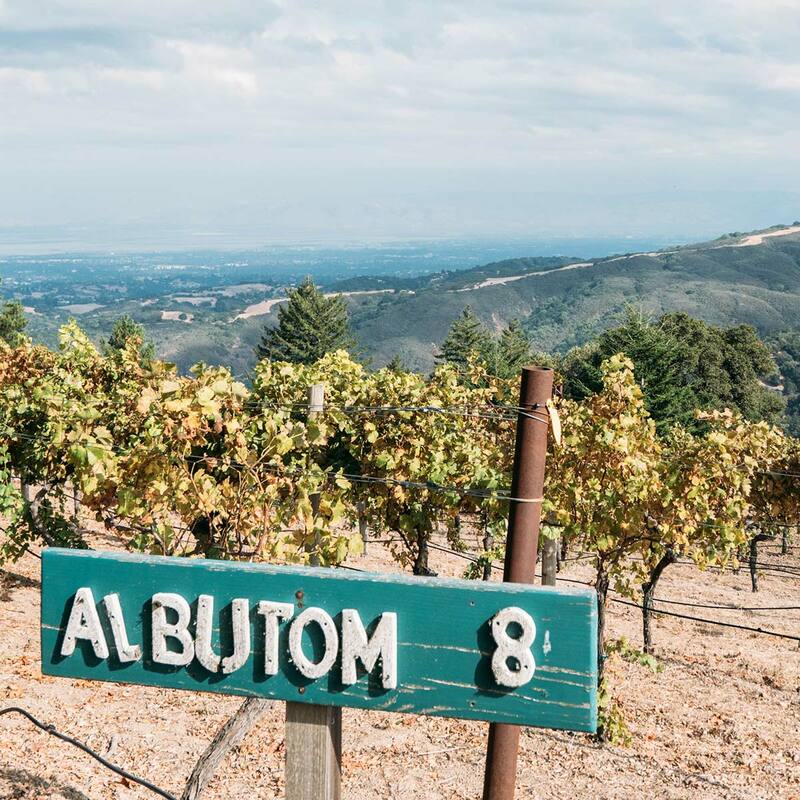 Due to their location less than a mile from the San Andreas Fault Line, the soil properties of the vineyards here vary remarkably despite their closeness to each other. This results in notable vineyard characteristics among the winery's Burgundian-style chardonnays and pinot noirs. As you taste your way through them all, expect savory and earthy properties that you can't find elsewhere in California. The serene and secluded Pelican Point Beach. The wine flight Beauregard Vineyards. Take the morning to enjoy the hotel and surrounding property. Those in need of pampering can book themselves into a treatment room at the for one of the ever-changing selections on their “secret” spa menu. Use of the spa's steam room, sauna, and whirlpool tub are included in the hotel's resort fee, so it's worth checking out the facilities — and their assortment of Japanese-inspired products — even if you don't book a service. Looking to burn off yesterday's culinary indulgences? Reserve a tee time on one of the two championship for an oceanfront game you won't soon forget, or hop on the section of the that weaves through the hotel's land for a peaceful jog. On my run here I was able to take in both the secluded to the south and the wild to the north. After checkout, detour south for the afternoon, beginning with lunch at . Open since 1894, this Pescadero institution and James Beard award winner serves up coastal comfort food in an old-school pine-paneled dining room. Order the house special — half cream of artichoke soup, half cream of green chili soup — and finish the meal with a slice of homemade pie (the olallieberry pie and pumpkin pie are worth the drive alone). Before leaving Pescadero, check out nearby for kitschy vintage finds and , and pop into to pick up a loaf of their famous garlic herb artichoke bread (which you'll undoubtedly finish before making it back to your car). Continue on south for 30 minutes to the rural mountain community of Bonny Doon, where you'll find the general store-turned-bar-turned tasting room called The Lost Weekend. 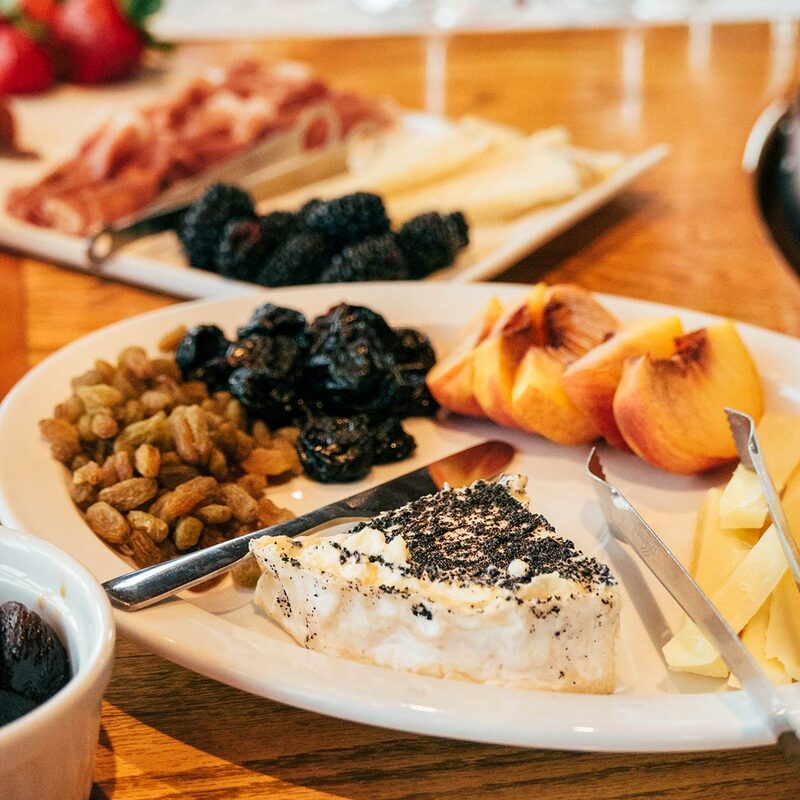 Home to , the cozy cabin-like tasting room offers flights of chardonnay, pinot noir, zinfandel, and cabernet sauvignon grown just two miles inland at elevations ranging from 920 to 1,850 feet. 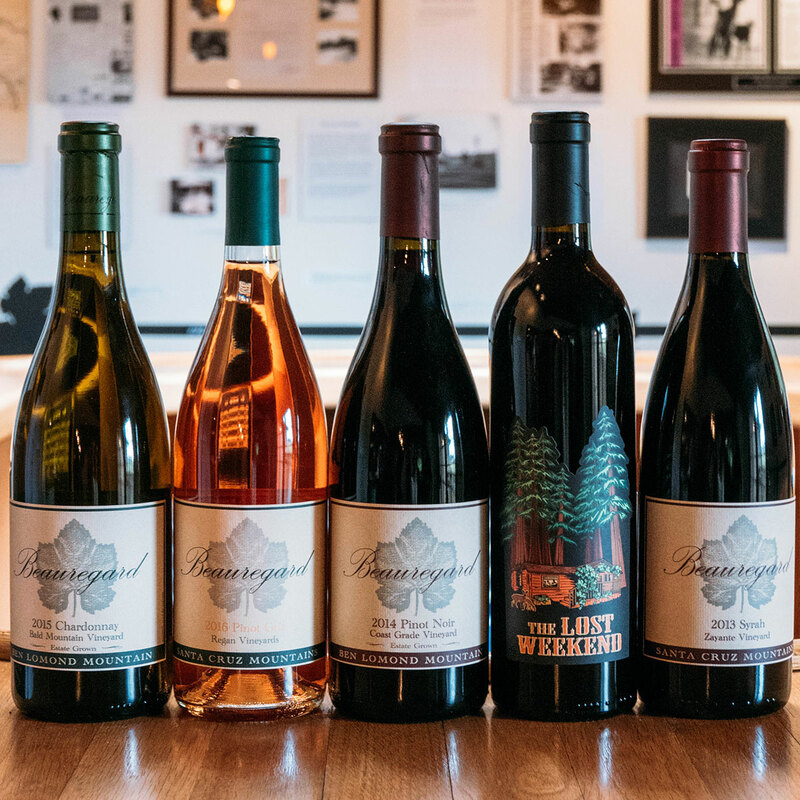 With 90 to 95 percent of their wine sold directly from the tasting room and only a few select wholesalers in San Francisco and Santa Cruz, a stop at The Lost Weekend is the perfect place to pick up a souvenir bottle to add to your collection. See our itineraries: Start with or make it a perfect day in and another in right across the Golden Gate Strait. Kate is a travel blogger documenting her adventures in the Far East at . You can follow her on , , and . She travels for the food she can't pronounce.